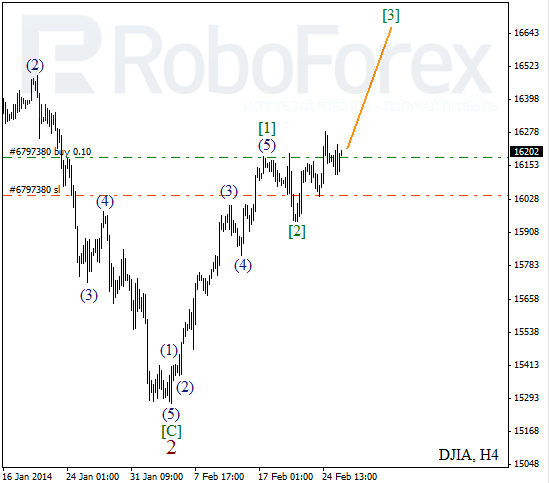 After completing bullish impulse inside wave , Index is starting to form extension inside the third wave. I’ve got only one buy order so far and I’m planning to move stop into the black right after instrument starts new ascending movement. 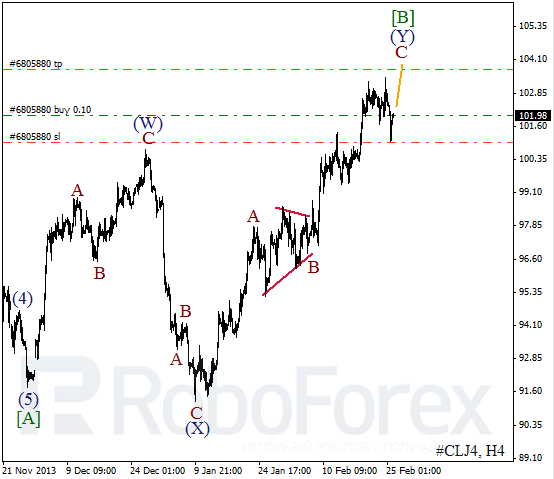 As we can see at the H1 chart, Index formed several initial waves. 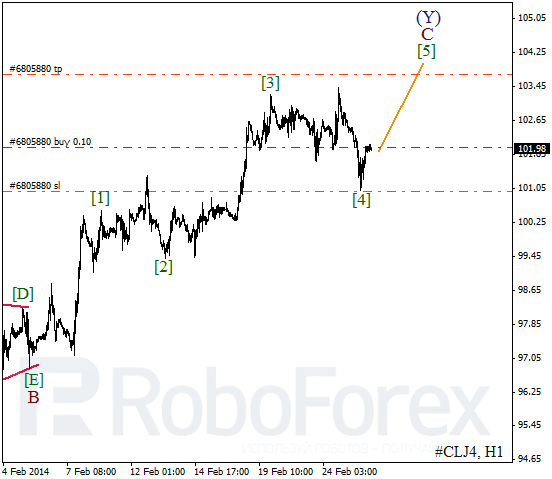 On minor wave level, price completed wave 2. During the day, instrument is expected to start moving upwards inside wave 3 of (3). Oil is still controlled by bulls. Probably, right now price is forming ascending impulse inside wave C. current chart structure implies that instrument may continue moving upwards during the next several days. More detailed wave structure is shown on H1 chart. 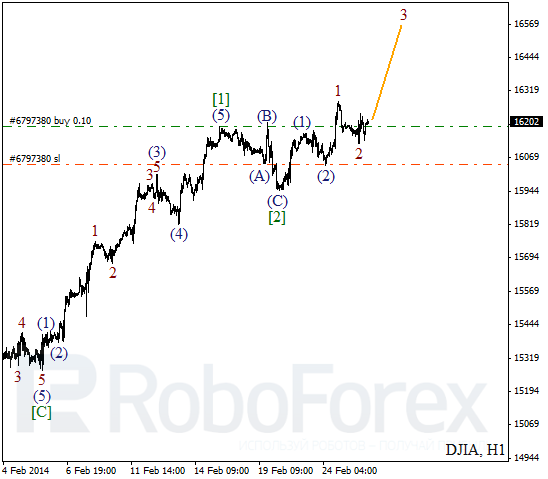 Oil completed the fourth wave inside wave C and started the fifth one. I opened short-term buy order with stop placed at local minimum.